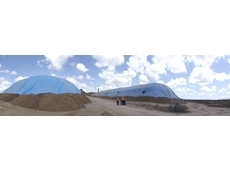 Polytex is a major supplier of tarpaulin products to the agricultural industry in Australia, servicing the grain handling sector with grain storage bunker covers. Located at the crossroads of major highways between Melbourne, Brisbane, Sydney and Adelaide, Polytex of Leeton NSW is ideally situated to service bunker cover storage needs of the upcoming grain harvest season. 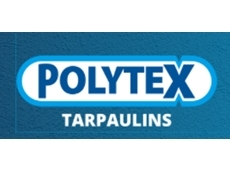 Polytex is well known in the grain handling industry for its ability to service their requirements with the right tarpaulins at competitive prices. 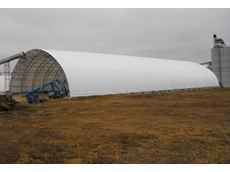 Polytex specialises in the welding of poly and PVC fabrics used in the manufacture of grain storage bunker covers, fabricating larger covers when required to store grain in bunkers. Bunker storage is especially suitable when conventional storage facilities are not sufficient for the grain handling industry to store the harvested grain. 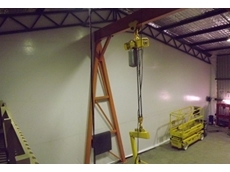 Bunker storage extends the volume of grain storage capacity either ‘on farm’ or within the grain storage industry. On farm grain bunker storage is a growing trend that allows the grower to keep control of their grain stocks, allowing them to sell when they can derive maximum benefit. 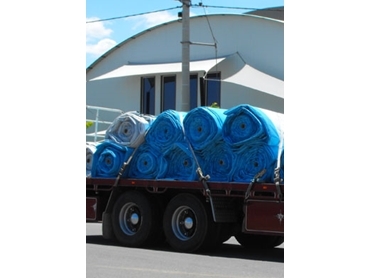 Polytex products include grain storage covers, dam liners, hay and cotton module tarpaulins, truck tarpaulins, building tarpaulins as well as shelter covers for agriculture, industry and mining. 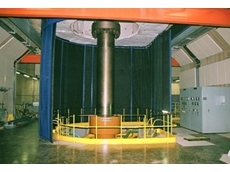 Polytex also manufactures a range of acoustic noise control products for industry along with spill control bunding and rapid roll doors.